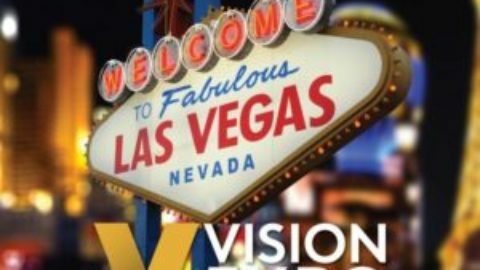 Once a year, the vision care industry gathers in New York City at the Vision Expo to discover the latest advancements in patient care, see the latest styles in eyewear frames and seek out productivity tools such as software – to name just a few. The show takes up thousands of square feet over two levels of a major convention center. Every part of the vision industry is covered in this key event. Increasingly, technology is playing a big part in automating routine tasks, improving productivity/order processing and manufacturing lenses that are more sophisticated than ever before. To say that technology is important to the optical labs that produce the lenses would be an understatement. The combined investment in machines such as lens cutters, grinders and polishers can easily approach $1 Million. Many optical labs are processing over 400 orders a day – all of which have “can’t miss” delivery deadlines. Patients and the optical retailers where the purchases are made have an expectation of fast turnaround on orders. Waiting 2 or more weeks for a new pair of glasses with special coatings and the latest in designer frames is no longer acceptable. If one store can’t deliver on time, the business shifts to a shop that can make the due date. It’s really no different than a parts supplier for a large car manufacturer. If one can’t deliver car seats on time, the car companies will simply place their next order with a vendor who can meet the strict deadlines that have become the norm in the automotive business. With so much investment in equipment, staff and materials – not to mention customer relationships – continuous operations are job one. Optical labs have come to rely on Alteeve as a key technology partner to support and drive their operations. From that standpoint, the Vision Expo proved to be a great opportunity for Alteeve to meet with current clients – such as Kaiser Permanente and Warby Parker – but also to showcase the technology for potential new clients who need the highest level of availability. Alteeve’s high availability server platform – the Anvil – hosts the software applications which drive every part of order processing and production. Recognizing that the optical labs’ expertise does not extend much past delivering the highest quality eyeglass lenses on time and at a competitive price; we made our systems simple to manage. There’s no IT or other technical expertise required to manage the Anvil high availability server platform. There’s really nothing to learn – just set it and forget it. The Anvil software allows the platform to run autonomously and intelligently manage the entire server system. Taken together, the unique features of the Anvil (autonomous operation, predictive failure analysis, proactive fault mitigation, self-healing, etc.) allows optical labs to simplify server administration, lower cost of ownership and achieve the highest level of continuity/uptime. As vision care providers increasingly seek to leverage technology to deliver a competitive advantage, the value of the Anvil next generation high availability server platform becomes invaluable. Leaving the Vison Expo, our team felt a lot of pride in being able to be a true partner in profit with our optical lab customers. The vision is clear in this industry – an investment in technology such as the Anvil will pay back in satisfied customers, improved productivity and low cost leadership.